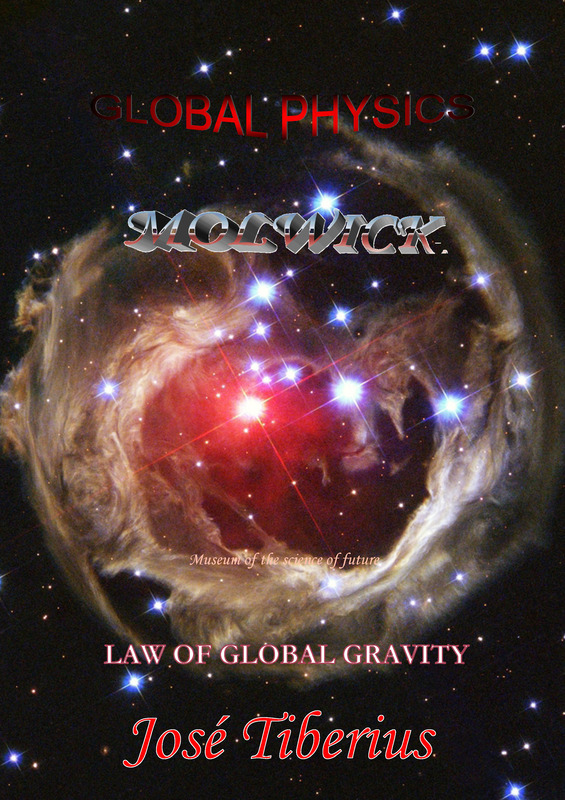 The Laws of Global Gravity incorporate a new principle to Newton’s Universal Gravitational Law. There are two components of the atractis causa in the non-relativistic paradigm of Global Physics. The Laws of Global Gravity incorporate new characteristics to Newton’s Universal Gravitational Law. They add some nuances which, though they are quantitatively speaking rather small, are important from a conceptual point of view. These laws theory allow explaining the natural phenomena of the predictions made in Einstein’s General Relativity, without altering concepts of time and space, and without using any additional dimension. Within the gravitation theory, the Global Law of Gravity is part of the new paradigm or model of physical reality proposed by Global Physics. Global has been the chosen term due to the need to perform an analysis covering the different types of states of matter, forces, and types of movements. Besides, we picked it, in spite of its abundant and extended use, to ease the brain placing itself within the new perspective advocated by Global Physics. Section Principles of Physics in the Global Mechanics book presents the general characteristics of the new model. Among said characteristics, it is useful to highlight new concepts provided by Global Mechanics about the reticular structure of matter –kinetic, gravitational or Global Aether– as the supporting medium of the gravitational field, kinetic energy and mass, which justify the Principle of Global Conservation or gravity-energy-mass equivalence. Also, gravity field is the luminiferous aether or supporting medium for electromagnetic energy. The characteristic of gravitational aether of being a physical medium entails the necessity of taking into account the velocities concerning the natural reference system of the masses and energies in gravitational interaction. Although, without forgetting the particular case of electromagnetic energy and its luminiferous aether. The Laws of Global Gravity are a simple mathematical formula, which collects implications of the Merlin effect –second component of the atractis causa on Newton’s Gravity Law. The previous section about Newton’s Universal Gravitational Law introduced the Global Law of Gravity and the two components of the atractis causa; one referring to Newton’s gravitation and the other to Global Physics with its Merlin effect. The innovation consists of the Merlin effect or additional force caused by speed. Given that reference speed *v* is the one of the global mass, not the one of electromagnetic energy, quantification involves the mass equivalent to kinetic energy. This effect is equal to kinetic energy [½ m0 v²] multiplied by [2π] to take into account linear motion and the double gravitational interaction of energy and divided by [c²] due to the famous mass-energy equivalence [E = mc²] –original formula of Olinto de Pretto. Besides, in the book Physics and Global Dynamics, the characteristics of acceleration, force, and motion through Global Aether with theoretical total symmetry or with radial symmetry –gravitational aether– have been studied. Another noteworthy element of the Law of Global Gravity is that energy contribution of gravity field not only affects kinetic energy; it can also affect other manifestations or types of energy. A famous particular case is a variation in the frequency of electromagnetic energy in gravitational redshift. In order to include all energy transformations, we should use the fundamental equation of Global Physics, which is the following one. The book Theory of Relativity, Elements, and Criticism briefly explains famous predictions of General Relativity. 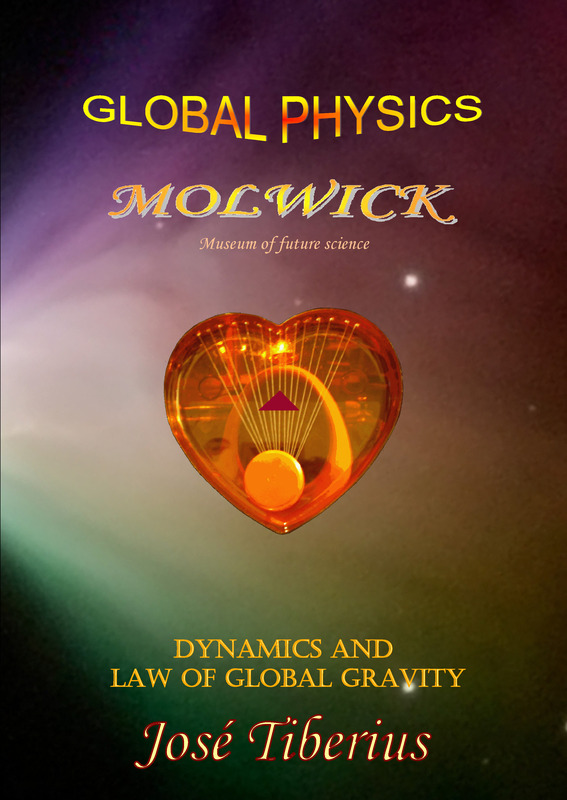 In following pages, Global Physics, using the Law of Global Gravity formula, leads us to a justification of same natural phenomena in a simpler way, without altering concepts of time and space. Without taking into account speed of the mass, the Global Law of Gravity coincides with Newton’s Law of Universal Gravitation. In Global Mechanics, mass creates through three-dimensional loops and curls of Global Aether due to its transverse elasticity and torsion energy. Mass is a high accumulator of the energy of reversible deformation. In short, mass is a new state of aggregation of the global aether in continuous synchronization with the longitudinal vibration of global or kinetic aether. In the new gravitational model, this synchronized vibration of mass and gravitational aether is the mechanism for transmission of potential energy from the gravitational aether to the mass, causing its gravitational acceleration. Due to radial symmetry of the gravitational aether, resultant of gravitational force directs towards the mass responsible for the gravity field. Neutron impulse produced by the kinetic aether mechanism should have same unit vector component for each spatial point; in other words, the direction of gravitational force is independent of whether the neutron moves towards the center of the gravitational field, away from it, or in a circular orbit. In the first case, the acceleration due to gravity shall occur, in the second one, a negative gravitational acceleration, and in the third one, a centripetal acceleration. The force from Newton’s Law of Gravity is proportional to the mass; the example with the neutron is just a symbolic one. Since it is an uncharged particle, there is no need to simplify not taking into account electromagnetic fields. Nevertheless, we should not forget that mass is a new state of aggregation of the gravitational aether with specific energy properties. In fact, said properties cause the gravitational effects. 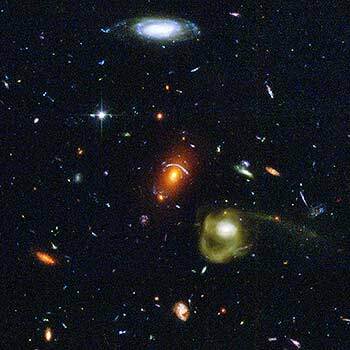 An interesting aspect is that the proportionality above derives from the fact that crucial units –neutrons and protons– configure the mass; leaving the discussion about gravity caused by black holes or other outer-space phenomena aside. In any case, we are dealing in this section with consequences of the gravitational field on the mass, not with the mass as the cause of said field. Einstein’s Theory of General Relativity also approaches the concept of gravity force caused by energy; the only problem is that the explanation is not very clear. It is not possible to explain it since he mixes science and magic when he stretches time, space and all derived quantities. There appear too many mathematical tensions without knowing how to interpret or correct them. The Theory of General Relativity accurately indicates that mass and electromagnetic energy are two energy manifestations, but it entirely fails when it denies the reticular structure of matter, which is, precisely, the material subject of said manifestations. In Global Mechanics, light or electromagnetic energy is a transverse wave of a mechanical nature in the reticular structure of matter, which constitutes Global Aether and supports the force of gravity. However, it is a bit more complicated than that; we must bear in mind that gravity field is also the supporting medium for electromagnetic energy or luminiferous aether. In other words, Global Aether is the material support for luminiferous aether, which acts as an intermedium energy support of electromagnetic energy. Also, we must take into account that luminiferous aether –gravity field– is a dynamic property of the Global Aether. In short, light is another manifestation of the elasticity of Global Aether as a reversible energy property; since, when the light wave passes, Global Aether returns to its previous state. As electromagnetic energy and mass are two different manifestations of elastic energy of the global or gravitational aether, they have the same interaction or exchange energy mechanism with it –related to the synchronization with its longitudinal vibration. Consequently, electromagnetic energy will have a similar effect as the mass with Newton’s Law of Gravity, or more appropriately, instead of on the reversible deformation energy represented by the mass. Simultaneously, because of the speed of light, similar interrelation will occur again in equal quantity, since the speed of propagation of electromagnetic energy –transversal waves– is the same speed of transmission of longitudinal tension, as is discussed in the section on the characteristics of gravitational waves. We are not dealing with particular mechanisms generating elasticities in depth. We are just providing a brief description of the elastocytes, as they would be part of a theory of the internal structure of the reticular filaments. It has not been necessary for the presented gravitational theory and, besides, we do not have enough empirical information to do so. Nevertheless, we would like to note that the double gravitational interaction in the case of electromagnetic energy or the movement of mass takes place in the elementary units of vibration or elastocytes. The characteristic is because of the energy exchange is not proportional to traveled space. In other words, it is as if, with speed, the longitudinal and transverse vibrations of an elastocyte coincided more and a higher energy exchange per unit of covered space occurs. Mathematically, the formula for the Law of Global Gravity also resolves the calculus of deviation of light or gravitational lens effect. To do so, one must bear in mind that the second component or component of kinetic energy is the addition of a geometric progression of smaller and smaller elements and that it can be resolved using Taylor's theorem. Consequently, the sum for the case of velocity v equal to c is 1. With motion, mass vibration will increase to keep synchronization with the longitudinal vibration of kinetic or Global Aether. In short, the interrelation with global or gravitational aether by a unit of absolute time will increase, and a more significant effect of the same mechanism of the gravitational interaction will occur. The gravitational interaction occurs, on the one hand, due to the radial symmetry of gravitational aether that will tell us direction and sense of resultant force. On the other hand, it will also be due to the elastic energy transfer between the longitudinal curvature tension of gravitational aether and the mass –just in case; we are talking about the other mass, not about the mass generating the field of gravity. However, said transfer would be higher if more internal contact occurs, as with the previous case of electromagnetic energy. Moreover, in this case, as it is the said material mechanism, the acceleration shall be proportional to the central mass, shall have the same vector component and shall still be inversely proportional to the squared distance, but with an additional proportionality factor. This factor will be the kinetic energy. The additional gravitational force due to the global mass’ kinetic energy at a velocity *v* shall be equal to the gravitational force that the equivalent electromagnetic energy would suffer, that is, twice the mass in Newton’s Law of Gravity. From the perspective of the kinetic mass –the mass equivalent to the kinetic energy– will have two times the gravitational attraction than the mass at rest. Half this quantity will not affect motion due to inertial proportionality factor between mass and acceleration, taking into account there is an increase in the global mass due to velocity. The other half will be responsible for the spatial deviations regarding Newton’s Law of Gravity. Quantification of this effect on global acceleration appears in the second component of the previously mentioned Global Gravity Law formula. The meticulous calculus of the anomalous precession of the orbit of Mercury and rest of the planets with this theoretical gravity formula is in section Energy Experiments. We would like to remark that both Global Physics and General Relativity use the same formula than Paul Gerber used in 1898. Einstein’s General Relativity also makes use of kinetic energy in his field equations to distort space and to adjust the anomalous precession of the orbit of Mercury.